The Kashmir Great Lakes is in no need of an introductory treatise. It presents the proem in itself. You can draw a preface of it by just hearing its name. Kashmir is a wonderful place and if you are on a himalayan trek you are bound to taste the natural beauty and adventure. The trek to the Kashmir Great Lakes offers a lifetime experience of vintage memories that are so wonderfully tiring. 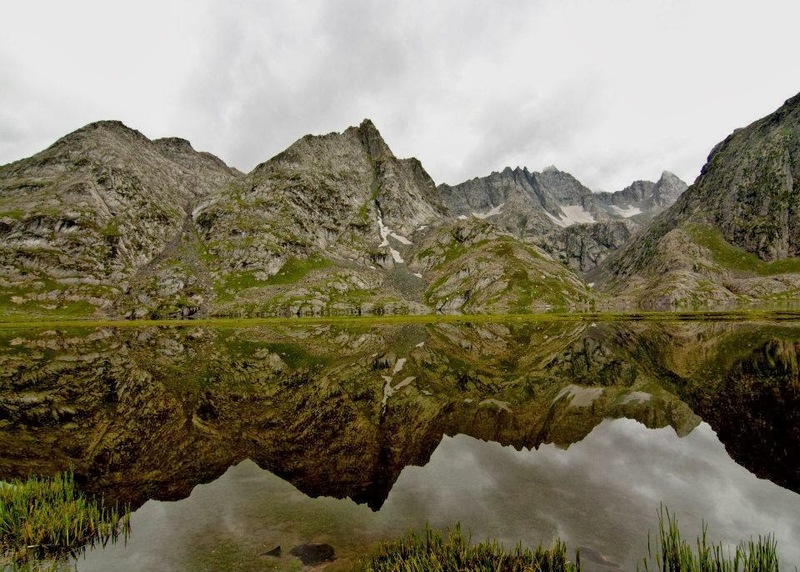 The thundering silence of the Kashmir lakes and its virgin beauty is spell bound. Apart from the lakes, even the barren milky snow clad mountains stand out in might and proud. As the trek to the Kashmir Great Lakes demands physical fitness, you must take good care of your health, shape yourself well and be fit and fine. Trekkers can train themselves by working out regularly in gym along with running, walking on incline, cycling, cross-training and stretching on a daily basis. Along with physical health mental fitness is important equally. 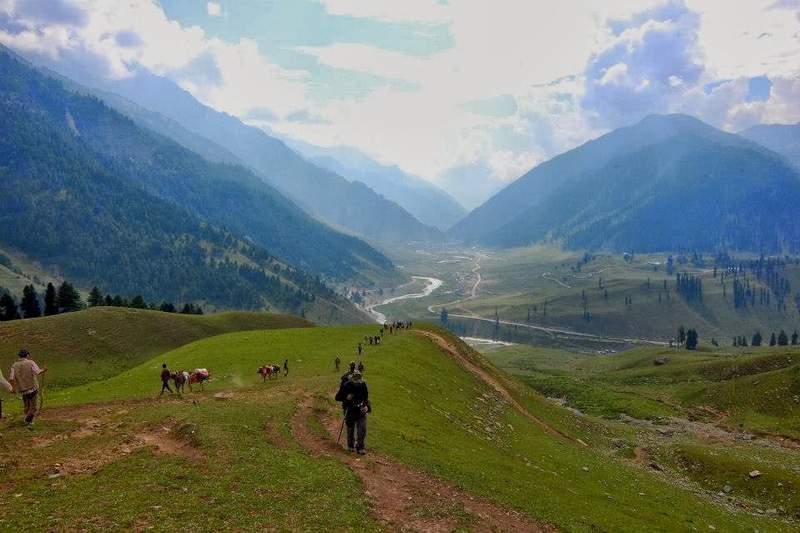 The trek to the Kashmir Great Lakes will provide to the trekkers a perfect flavour of all hues of terrain- innumerable meadows, snow clad glaciers and pinnacles, passes, rocky barren lands, struggling streams. The trail to the Great Lakes is worth trekking. It does justice to all the expectations of a trekker. No individual will ever undergo but this trek will make you undergo. It is a path to heaven and its virgin serenity. While trekking, trekkers must be equipped with the necessary equipments. Apart from the professional trekking gear, stuffs inclusive of trekking shoes, trekking pole are important specifically. Trekkers must never compromise with their body requirements. It's better to understand your body need and not going by the choice of some other fella. 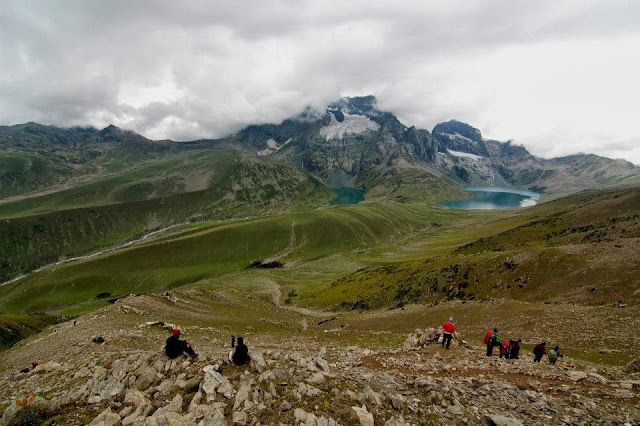 The trek to the Kashmir Great Lakes is not a child's game but even a child of ten years can go on this trek. The luggage or the carry bag should be as light as possible. It will be in your comfort. 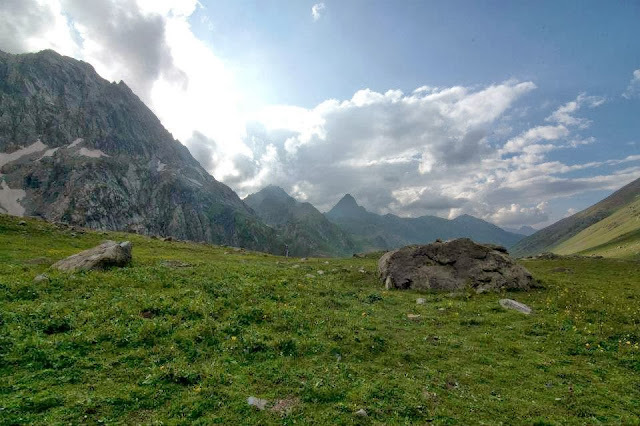 Day 1 :- Arrive Srinagar, Drive to Sonamarg Night stay in guesthouse. Day 2 :- Sonamarg (7,800ft) to Nichnai (11,500ft) via Shekdur Night stay in guesthouse / tents. 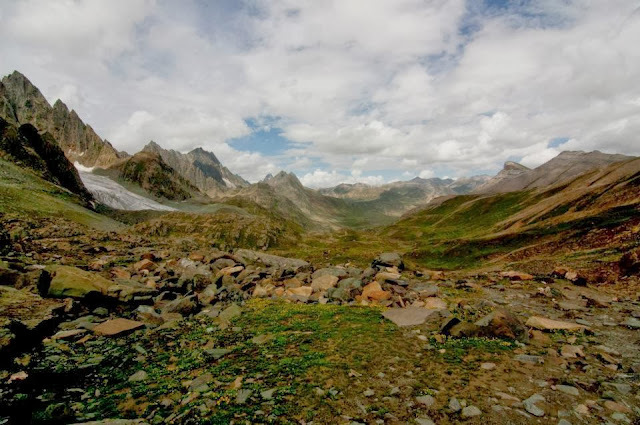 Day 7 :- Gangabal (11,500ft) to Naranag (7,450ft) Drive to Srinagar Night stay in guesthouse. A jeep track diverts to the right off the main road at the shop. The track goes down to the level of the Sindh river flows in between the mud track and the main road. The trekking trail starts along the track but quickly diverts higher up. 10 minutes into the trek, the trail bends left and enters a green meadow. The meadow directly overlooks the Sonamarg town. In half an hour you are at the top of the meadow where Maple and Pine trees start. At the tree line, the trail quickly descends to a tiny brook and then climbs again. What follows next is a lovely dense forest of Maple trees. Walking on the green bed of grass amidst the Maples is an experience unique to Kashmir in India. From the waterfall, the rapid descent ends and you are now walking through the flat wide meadow. On the left are the classic snow clad Himalayan mountains but notice on your right, grey and barren mountains resembling the Ladakh ranges. Walk along in between the two ranges over the lush green carpet of grass. Two main streams flow through the valley. Stick close to the stream on the left. In half an hour, brace yourselves for another stream crossing for the day. The water is icy cold. Continue in the meadow for an hour and a half until you reach the end of the valley. Another stream flows perpendicularly from your left to your right. This stream originates at the Vishansar lake which is a bit higher on your left. The lake is not seen yet and cannot be seen from the campsite. Pitch your tents anywhere beside the stream coming from the lake. There is ample camping space. 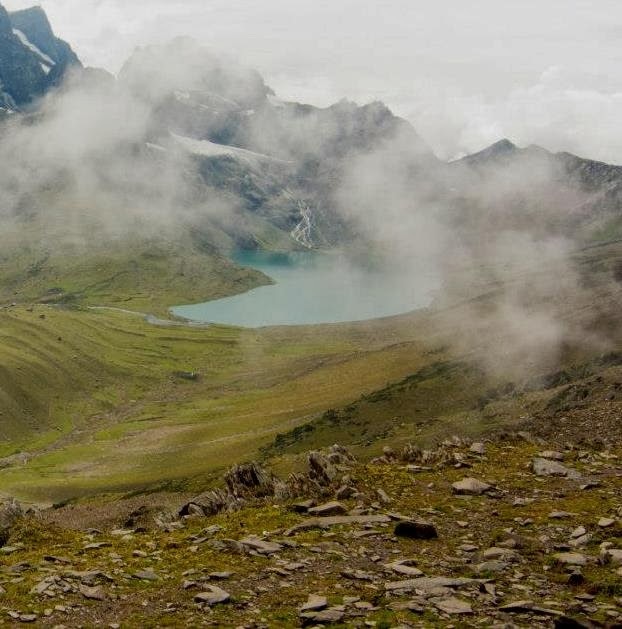 The Vishansar lake lies half a km to the left and 100ft higher from the campsite. Head left and follow the stream without crossing it. The lake is two mounds away and takes about 7 minutes to reach. The first impression you get on seeing the Vishansar lake is that it is big. It lies nestled below 4 mountains. An hour and a half?s steep descent brings you to green meadows again. The meadow is not too wide but stretches from your right to left. A kilo meter down left, you see the tree line again. Once at the base, the lake shore is still a good distance. The destination is seen but seems far away. Most major air carriers like Indian Airlines (www.indian-airlines.nic.in) Jet airways (www.jetairways.com) and Indigo operate daily flights to Srinagar. Reaching Srinagar by flight from New Delhi is the most convenient way. 2. Hotel Stay in Srinagar. Transportation: The cost of transport from Srinagar to Sonmarg and return from Narnag to Srinagar has to be borne by the participant. Backpack Holidays has arrangements with local transporters to pick up trekkers from Srinagar. The vehicles will leave Srinagar at 3.00 pm and reach Sonamarg by 6.00 pm. 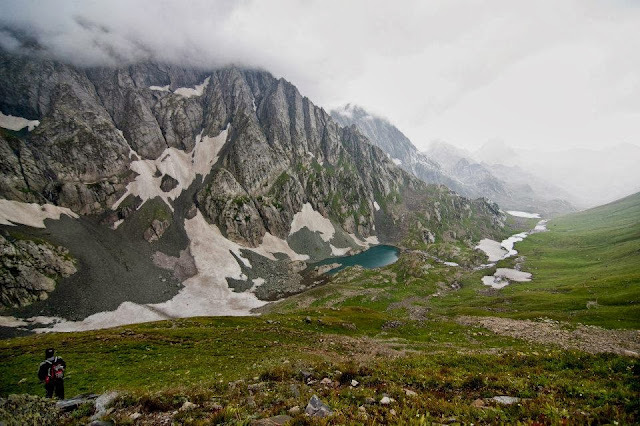 Srinagar Accommodation: The stay at Srinagar on the last day is not included in the trek fee. However we can assist you in booking a hotel or a houseboat for the same. Most participants opt for the Backpack Holidays pick up – and we assume the same in your case. In case you do not want the Backpack Holidays pick up, please let us know at least 15 days in advance to the start of the trek. Intimation is by email only backpackholidays@gmail.com Note : Normally BACKPACK HOLIDAYS expect to carry your personal luggage on your own, if you don’t want to carry your backpack so you can give it to porter, but you have to inform us in advance and have to pay Rs. 250/- extra per day per bag. To book a Trek/ adventure program please use our online booking form or, alternatively, you can call us on the given for confirmation of tour you have to wire a deposit and initial deposit.